I have used many products of Pond's and mostly found them great. 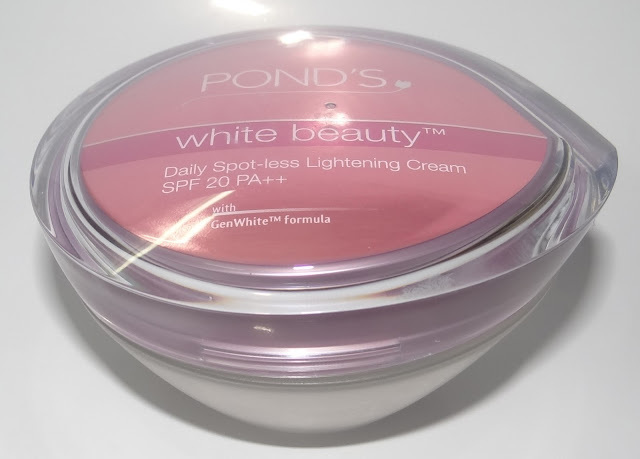 When Pond's sent me their latest WHITE BEAUTY DAILY SPOT LESS LIGHTENING CREAM, I was very happy to try out it on my face. After using this product for about 15 days, I'm now able to write its review in true terms. 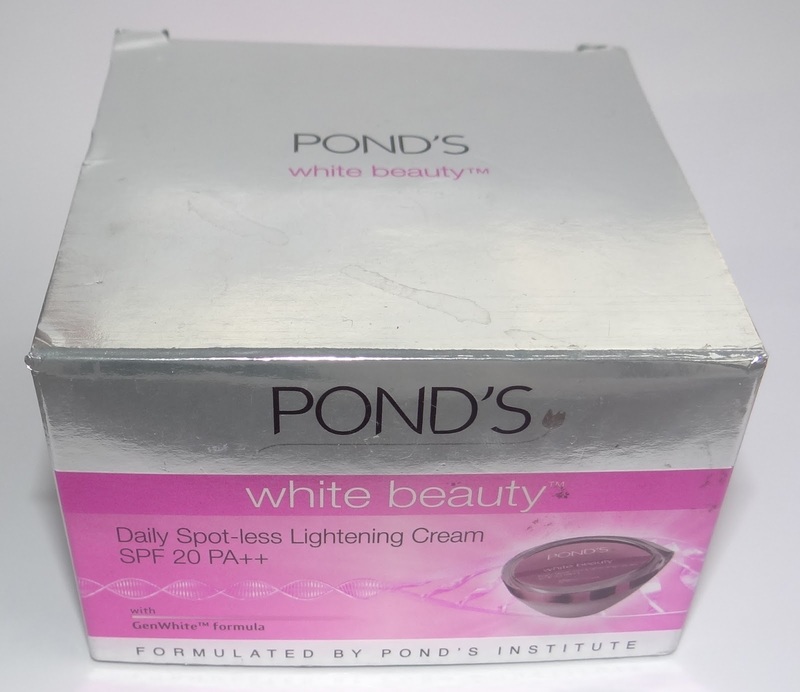 This cream is one of Pond's latest launched day cream for daily use. It has SPF 20 which is a great part of this product. This nourishing non-oily light day cream with the new, cutting edge white beauty GenWhite formula SPF 20 PA++ works deeply to reduce dark melanin production.To lighten, brighten and fade dark spots, while providing instant radiance. Discover spot-less fair skin like never before, within the epidermal layer. It can be used as a daily day cream, can be applied after cleansing the face in the morning. I have been using many Pond's products so I had a great expectation from their new cream. I noticed first its price which is surprisingly less in comparison to their other skin products which is really a good part of it. The packaging is beautiful same like their AGE MIRACLE & GOLD RADIANCE range. The jar is stylish white a pink lid but the whole of it is a bit heavy and inconvenient for traveling but looks pretty while kept on the dressing table. The texture of the cream is quite mousse like and a bit thick. I don't like this type of texture because it makes my skin a bit dry which I don't like. I have been using it as a day cream in the morning after washing my face. I take a less quantity for applying because it leaves a white cast on the face. You have to blend it very well to absorb into the skin. The good thing is that it absorb quickly into the skin after blending. When I first applied it on my face, I felt a bit disappointed about its texture because it was not sufficient to moisturize my skin completely. I'll not say that it made my skin dry after applying but its true that my skin doesn't become fully moisturize. To save mt skin to be dry I always cleanse my face with my cleanser and then apply it in a less quantity and in this way my skin doesn't feel dry at all even it looks more bright and healthy after applying it. It claims to make your face spotless but after using 15 days, I didn't get any noticeable difference on my only tiny brown spot on my forehead but that spot is quite old so may be it might take some long time to reduce but overall it's a good cream especially for oily and combination skin toned people. 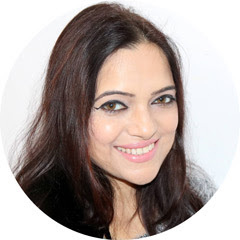 Thick texture which is able to cover the whole face in a very less quantity. It doesn't leave a white cast if is applied in a less quantity. My face looks fresh, bright and healthy after applying it. It gets absorbed into the skin quickly after blending. The cost is very reasonable which can be afforded by everyone. The texture is quite mousse like which I don't like. It's not sufficient to moisturize my skin fully. It has SPF 20 but as I apply it in very less quantity so I don't think I get the advantage of its SPF completely. In this way I have to apply my sunscreen too. I'm not sure about the fact that it reduces spots from the face after using it, maybe a long use will give this advantage. It's not perfect for dry skin. I'm happy about this cream but not fully, because it's not like Pond's other creams, I have used till now. The most disappointing part of this cream is not to moisturize my skin completely in this season, I can't even imagine to use it in winters. But it's my personal opinion based on my own experience, I'm sure it's an ideal cream for oily and combination skin. The price is very reasonable and it's very nice thing for girls who can afford it very easily. I'll recommend it to my readers who have oily and combination skin and live in such a place where the weather has humidity. It can be purchased at all malls & beauty stores.